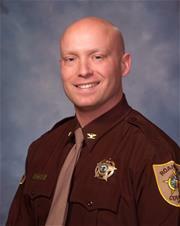 Sheriff Joseph E. Orange welcomes you to the Roanoke County Sheriff's Office official Web Page. Since 1838, the Office of the Sheriff has proudly served the citizens of Roanoke County. Our deputies provide three main areas of service to the community--corrections, court security, and civil process. The Roanoke County Sheriff's Office has a total of 101 including sworn,part time and civilian personnel. Learn more about the mission, vision and values of the Sheriff's Office. The Roanoke County Sheriff's Office is accredited by the American Correctional Association, the oldest and largest international correctional association in the world. Roanoke County Sheriff's Office received accreditation by the Virginia Law Enforcement Professional Standards Commission. Where is the Roanoke County / Salem jail located? How can I transfer money to an inmate's account? Can I make a phone call to someone being held at the Roanoke County / Salem Jail?